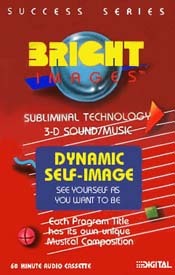 Dynamic Self-Images is one of your most popular programs. You will become more confident and more self-assured. You can accomplish your goals with a new dynamic self-image of yourslef, while being proud yourself from within. This program puts very powerful positive affirmations into your subconscious mind that are directed towards witnin your deepest beliefs and attitudes about yourself. Experience new vivid images yourself achieving your desired goals. Your desired goals will be much easier to reach as you become more worthy and confident of the accomplishment. As you elevate your self-image, you will feel more relaxed, calm and in control.